When looking for a car loan most consumers are going to find that there's not too much difference in rates between major banks. However, when a borrower compares local regional banks, community banks and credit unions to what is offered by national lenders, the difference can be startling. 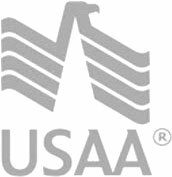 While big banks as of March 2013 are offering an average of 3.5 percent, the Pentagon Federal Credit Union is providing members a 5-year, 60-month auto loan package with a 1.74 percent interest rate charge. This represents almost a 2 percent difference versus the same kind of loan from traditional big banks. Of course, applicants do have to already have a good credit history and membership with the Credit Union. Membership is defined by employment in the U.S. military, the federal government, a qualified employer, or through a member relative. If a person qualifies for any of these criteria, then he can also access the Pentagon Federal Credit Union auto loan package as well. How does a credit union like PenFed afford offering such low rates? First, the Credit Union has a restricted population, so it can filter out borrowers. Second, PenFed works with borrowers who already have a validated source of employment, so the risk of default is far less. Finally, the Credit Union makes it a point to keep loan failures to a minimum, so profits remain steady and losses are avoided.As a result, the Pentagon Federal Credit Union auto loan clearly stands as one of the best interest rates available as of March 2013.